We present this brand new Racing type High Back Office Chairs with a unique appearance and feel. Unlike regulator office chairs, this chairs features Bucket Seats for extra comfort on those long working days and it has an extremely comfortable back that molds around and supports your back. Unlike most office chairs on the market. This race chair has a higher backrest to support the entirety of your spinal column. Whether you're working at high pressure, or gaming intensely. It makes you feel relaxation at working period and exciting gaming sessions. 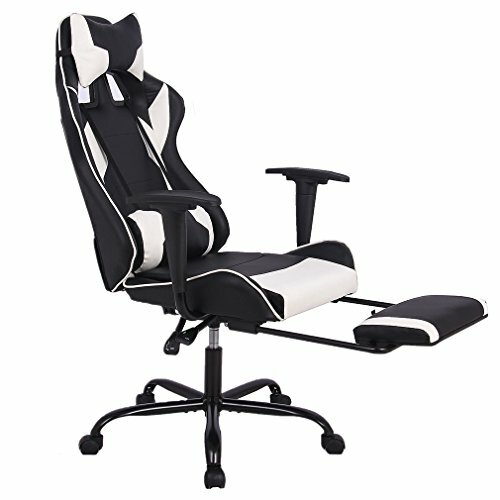 That gaming chair allow 90 to 180 degree backwards movement, can be lying down like bed. The chair can be adjusted to a lowered angled position for taking a quick nap. With a tubular steel frame and a metal star base, as well as comfortable armrests, the chair offers superb stabilit.